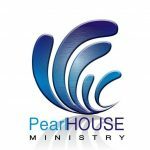 Bethel-PRAISE NKOR is the LeadPASTOR of PearlHOUSE Ministry. He is married to HILDA NKOR and blessed with 3 lovely children. Both have served their way into this responsibility of ..raising a SoldOUT Generation of Believers in Christ Jesus. Their passion lies in nurturing others to maturity through the practical application of the Word of God. Their utmost desire is to see men nurtured by the Grace of God receive the compliment of “thou good and faithful servant” as they stand before the Master on the last day.